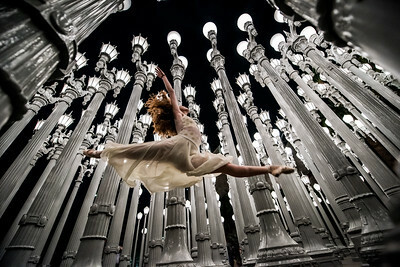 Ballet Urban Light Sculpture! LACMA Collections! Nikon D810 Ballet Photos of Pretty Ballerina Dancing at the LACMA Lights! Wide Angle Nikon 14-24mm f/2.8G ED Auto Focus-S Nikkor Wide Angle Zoom Lens! Nikon D810 Photos of Ballerina Dance Goddess Photos! Jete over Griffith Observatory & the LA Skyline! Pretty, Tall Ballet Ballet Goddess Captured with the Nikon 70-200mm f/2.8G ED VR II AF-S Nikkor Zoom Lens ! More ballerinas on instagram! instagram.com/45surf Would you like to see more ballerinas and ballet dancers? Nikon D810 Photos of Ballerina Dance Goddess Photos! Pretty, Tall Ballet Swimsuit Ballet Bikini Model Goddess Captured with the Nikon 70-200mm f/2.8G ED VR II AF-S Nikkor Zoom Lens! instagram.com/45surf instagram.com/johnnyrangermccoy/ Nikon D810 with the Nikon MB-D12 Multi Battery Power Pack / Grip for D800 and D810 Digital Cameras allows one to shoot at a high to catch the action FPS! Ballerina Dance Goddess Photos! Pretty, Tall Ballet Swimsuit Bikini Model Goddess! Captured with the Nikon 70-200mm f/2.8G ED VR II AF-S Nikkor Zoom Lens! www.facebook.com/45surfAchillesOdysseyMythology Ballerina dancing ballet! Pretty ballerina girl with blonde hair and blue eyes! A pretty goddess straight out of Homer's Iliad & Odyssey! New Instagram! instagram.com/45surf New facebook: www.facebook.com/45surfAchillesOdysseyMythology Pretty, Tall Bikini Swimsuit Model Goddess! New blog! 45surf.wordpress.com Ask me any questions! :) She was a beauty--a gold 45 goddess for sure! A Gold 45 Goddess exalts the archetypal form of Athena--the Greek Goddess of wisdom, warfare, strategy, heroic endeavour, handicrafts and reason. A Gold 45 Goddess guards the beauty of dx4/dt=ic and embodies 45SURF's motto "Virtus, Honoris, et Actio Pro Veritas, Amor, et Bellus, (Strength, Honor, and Action for Truth, Love, and Beauty," and she stands ready to inspire and guide you along your epic, heroic odyssey into art and mythology. It is Athena who descends to call Telemachus to Adventure in the first book of Homer's Odyssey--to man up, find news of his true father Odysseus, and rid his home of the false suitors, and too, it is Athena who descends in the first book of Homer's Iliad, to calm the Rage of Achilles who is about to draw his sword so as to slay his commander who just seized Achilles' prize, thusly robbing Achilles of his Honor--the higher prize Achilles fought for. And now Athena descends once again, assuming the form of a Gold 45 Goddess, to inspire you along your epic journey of heroic endeavour. ALL THE BEST on your Epic Hero's Odyssey from Johnny Ranger McCoy! Nikon D810 Photos of Ballerina Dance Goddess Photos! Jete over Griffith Observatory & the LA Skyline! Pretty, Tall Ballet Ballet Goddess Captured with the Nikon 70-200mm f/2.8G ED VR II AF-S Nikkor Zoom Lens ! May the 45surf goddesses inspire you along am artistic journey of your own making! Professional ballerina pointeing in point ballet shoes and dancing ballet in a white leotard and tutu. All 45surf Hero's Odyssey Mythology Photography is shot in the honor of Truth, Beauty, and the Light of Physicist Dr. E's Moving Dimensions Theory's dx4/dt=ic . The fourth dimension is expanding relative to the three spatial dimensions at the rate of c. Ergo relativity, time, entropy, and entanglement. Soft sunset light! A most magical magic hour! Epic scenic landscape and beuatiful ballet! After looking through my work,what do you think about Nikob vs. Sony? Do you prefer the Nikon D810 and Nikkor / Tamron / Sigma lenses /glass, or the Sony A7r and Sony Sonnar Carl Zeiss e-mount glass/lenses? I love them both! And I am so excited about the Sony A7rII ! Fine Art Ballet Photography: Nikon D810 Elliot McGucken Fine Art Ballerina Dancer Dancing Classical Ballet Seascape Landscape Photography!! Fine Art Ballet Photography: Nikon D810 Elliot McGucken Fine Art Ballerina Dancer Dancing Classical Ballet Seascape Landscape Photography! Fine Art Ballet Photography: Nikon D810 Elliot McGucken Fine Art Ballerina Dancer Dancing Classical Ballet Seascape Landscape Photography! White leotard and flowy dress! Dancing for Dynamic Dimensions Theory dx4/dt=ic: The fourth dimension is expanding relative to the three spatial dimensions at the rate of c! New ballet & landscape instagrams! instagram.com/fineartballet www.instagram.com/elliotmcgucken/ Nikon D810 Epic Fine Art Ballerina Goddess Dancing Ballet! Dr. Elliot McGucken Fine Art Ballet! Marrying epic landscape, nature, and urban photography to ballet! instagram.com/45surf Nikon D810 with the Nikon MB-D12 Multi Battery Power Pack / Grip for D800 and D810 Digital Cameras allows one to shoot at a high to catch the action FPS! Ballerina Dance Goddess Photos! Pretty, Tall Ballet Swimsuit Bikini Model Goddess! Captured with the AF-S NIKKOR 70-200mm f/2.8G ED VR II from Nikon, and the Sigma 50mm f/1.4 DG HSM Art Lens for Nikon! Love them both! www.facebook.com/45surfAchillesOdysseyMythology A pretty goddess straight out of Homer's Iliad & Odyssey! New Instagram! instagram.com/45surf New facebook: www.facebook.com/45surfAchillesOdysseyMythology Join my new fine art ballet facebook page! www.facebook.com/fineartballet/ The 45EPIC landscapes and goddesses are straight out of Homer's Iliad & Odyssey! I'm currently updating a translation with the Greek names for the gods and goddesses--will publish soon! :) "RAGE--Sing, O goddess, the anger of Achilles son of Peleus, that brought countless ills upon the Achaeans. Many a brave soul did it send hurrying down to Hades, and many a hero did it yield a prey to dogs and vultures, for so were the counsels of Zeus fulfilled from the day on which the son of Atreus, king of men, and great Achilles, first fell out with one another. " --Homer's Iliad capturing the rage of the 45EPIC landscapes and seascapes! :) Ludwig van Beethoven: "Music/poetry/art should strike fire from the heart of man, and bring tears from the eyes of woman." The Birth of Venus! Beautiful Golden Ratio Swimsuit Bikini Model Goddess! Helen of Troy! She was tall, thin, fit, and quite pretty! 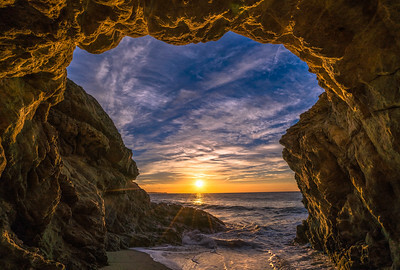 Read all about how classical art such as The Birth of Venus inspires all my photography! www.facebook.com/Photographing-Women-Models-Portrait-Swim... "Photographing Women Models: Portrait, Swimsuit, Lingerie, Boudoir, Fine Art, & Fashion Photography Exalting the Venus Goddess Archetype"
Nikon D810 Beautiful Ballerina Dancers! Goddesses Dancing Ballet! Ballet amongst the California Spring Wildflowers! Nikon D810 Beautiful Ballerina Goddess Dancing Ballet! 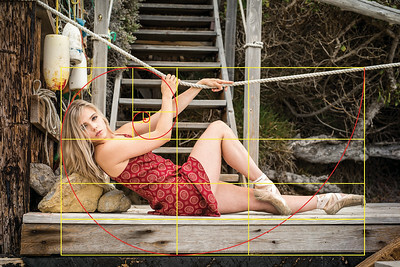 Nikon D810 Ballet Photos of Pretty Ballerina Dancing in Malibu! Captured with the Nikon 70-200mm f/2.8G ED VR II AF-S Nikkor Zoom Lens and the 50mm Sigma Art Lens ! facebook.com/mcgucken instagram.com/45surf instagram.com/johnnyrangermccoy/ Join me friends!! instagram.com/45surf www.facebook.com/elliot.mcgucken I'm working on an anthology of classic, epic poetry, which begins with selections from Homer's Iliad and Odyssey! :) I've replaced the Roman names with the Greek names: "RAGE, Sing, O goddess, the rage of Achilles son of Peleus, that brought countless ills upon the Greeks. Many a brave soul did it send hurrying down to Hades, and many a hero did it yield a prey to dogs and vultures, for so were the counsels of Zeus fulfilled from the day on which the son of Atreus, king of men, and great Achilles, first fell out with one another." All the best on your epic hero's odyssey into the art of photography! Nikon D810 Beautiful Ballerina Dancers! Goddesses Dancing Ballet! Ballet amongst the California Spring Wildflowers! Nikon D810 Photos Flying Ballerina! Tiny Dancer/Beautiful Ballet Dancer flying over Los Angeles! New instagram! instagram.com/45surf Nikon D810 Photos Flying Ballerina! Beautiful ballet dancer flying over Los Angeles in a leotard and tutu! She leapt from the Griffith Observatory and ended up in San Diego! :) "Tiny Dancer" Blue jean baby, L.A. lady, seamstress for the band Pretty eyed, pirate smile, you'll marry a music man Ballerina, you must have seen her dancing in the sand And now she's in me, always with me, tiny dancer in my hand! --Elton John Nikon D810 Photos Flying Ballerina! Tiny Dancer/Beautiful Ballet Dancer flying over Los Angeles! Nikon D810 Photos of Ballerina Dance Goddess Photos! Pretty, Tall Ballet Swimsuit Ballet Bikini Model Goddess Captured with the Nikon 70-200mm f/2.8G ED VR II AF-S Nikkor Zoom Lens F2.8! Would you like to see more ballerinas and ballet dancers? Nikon D810 Photos of Ballerina Dance Goddess Photos! Pretty, Tall Ballet Swimsuit Ballet Bikini Model Goddess Captured with the Nikon 70-200mm f/2.8G ED VR II AF-S Nikkor Zoom Lens! instagram.com/45surf instagram.com/johnnyrangermccoy/ Nikon D810 with the Nikon MB-D12 Multi Battery Power Pack / Grip for D800 and D810 Digital Cameras allows one to shoot at a high to catch the action FPS! Ballerina Dance Goddess Photos! Pretty, Tall Ballet Swimsuit Bikini Model Goddess! Captured with the Nikon 70-200mm f/2.8G ED VR II AF-S Nikkor Zoom Lens! www.facebook.com/45surfAchillesOdysseyMythology Ballerina dancing ballet! Pretty ballerina girl with blonde hair and blue eyes! A pretty goddess straight out of Homer's Iliad & Odyssey! New Instagram! instagram.com/45surf New facebook: www.facebook.com/45surfAchillesOdysseyMythology Pretty, Tall Bikini Swimsuit Model Goddess! New blog! 45surf.wordpress.com Ask me any questions! :) Sony A7R RAW Pretty Brunette Bikini Swimsuit Model Goddess! Pretty Hazel Eyes & Silky Brown / Blond Hair! And here're a couple of HD video movies I shot of the goddess with the 4K Sony: vimeo.com/45surf Enjoy! Be sure to watch in the full 1080P HD! The epic goddess was tall, thin, fit, tan, and in wonderful shape (as you can see). Check out my greatest hits compilation, and let me know what you think: www.elliotmcguckenphotography.com/45surf/45SURF-Heros-Ody... Epic Goddess Straight Out of Hero's Odyssey Mythology! Pretty Model! :) Tall, thin, fit and beautiful! Welcome to your epic hero's odyssey! The beautiful 45surf goddess sisters hath called ye to adventure, beckoning ye to read deeply Homer's Iliad and Odyssey, whence ye shall learn of yer own exalted artistic path guided by Hero's Odyssey Mythology. I wouldn't be saying it if it hadn't happened to me. 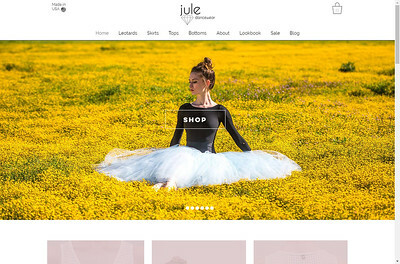 New 500px! 500px.com/herosodysseymythology New instagram! instagram.com/45surf twitter.com/45surf Pretty Swimsuit Bikini Model Goddess! :) Follow me on facebook! facebook.com/elliot.mcgucken vimeo.com/45surf She was a beauty--a gold 45 goddess for sure! A Gold 45 Goddess exalts the archetypal form of Athena--the Greek Goddess of wisdom, warfare, strategy, heroic endeavour, handicrafts and reason. A Gold 45 Goddess guards the beauty of dx4/dt=ic and embodies 45SURF's motto "Virtus, Honoris, et Actio Pro Veritas, Amor, et Bellus, (Strength, Honor, and Action for Truth, Love, and Beauty," and she stands ready to inspire and guide you along your epic, heroic odyssey into art and mythology. It is Athena who descends to call Telemachus to Adventure in the first book of Homer's Odyssey--to man up, find news of his true father Odysseus, and rid his home of the false suitors, and too, it is Athena who descends in the first book of Homer's Iliad, to calm the Rage of Achilles who is about to draw his sword so as to slay his commander who just seized Achilles' prize, thusly robbing Achilles of his Honor--the higher prize Achilles fought for. And now Athena descends once again, assuming the form of a Gold 45 Goddess, to inspire you along your epic journey of heroic endeavour. ALL THE BEST on your Epic Hero's Odyssey from Johnny Ranger McCoy! Modeling the Gold 45 Revolver Gold'N'Virtue swimsuit. :) A laid-back,classic, socal lifestyle shoot! May the 45surf goddesses inspire you along am artistic journey of your own making! All 45surf Hero's Odyssey Mythology Photography is shot in the honor of Truth, Beauty, and the Light of Physicist Dr. E's Moving Dimensions Theory's dx4/dt=ic . The fourth dimension is expanding relative to the three spatial dimensions at the rate of c. Ergo relativity, time, entropy, and entanglement. Professional ballerina pointing in point ballet shoes and dancing ballet in a white leotard and tutu. Nikon D810 Photos of Ballerina Dance Goddess Photos! Pretty, Tall Ballet Swimsuit Ballet Bikini Model Goddess Captured with the Nikon 70-200mm f/2.8G ED VR II AF-S Nikkor Zoom Lens! Nikon D810 Ballet Photos of Pretty Ballerina Dancing in Malibu! Captured with the Nikon 70-200mm f/2.8G ED VR II AF-S Nikkor Zoom Lens and the 50mm Sigma Art Lens ! facebook.com/mcgucken instagram.com/45surf instagram.com/johnnyrangermccoy/ Join me friends!! instagram.com/45surf www.facebook.com/elliot.mcgucken I'm working on an anthology of classic, epic poetry, which begins with selections from Homer's Iliad and Odyssey! :) I've replaced the Roman names with the Greek names: "RAGE, Sing, O goddess, the rage of Achilles son of Peleus, that brought countless ills upon the Greeks. Many a brave soul did it send hurrying down to Hades, and many a hero did it yield a prey to dogs and vultures, for so were the counsels of Zeus fulfilled from the day on which the son of Atreus, king of men, and great Achilles, first fell out with one another." All the best on your epic hero's odyssey into the art of photography! Nikon D810 Beautiful Ballerina Dancers! Goddesses Dancing Ballet! Ballet amongst the California Spring Wildflowers! Fine Art Ballet Photography: Nikon D810 Elliot McGucken Fine Art Ballerina Dancer Dancing Ballet Seascape Landscape Photography! Fine Art Ballet Photography: Nikon D810 Elliot McGucken Fine Art Ballerina Dancer Dancing Ballet Seascape Landscape Photography! Black leotard! Dancing for Dynamic Dimensions Theory dx4/dt=ic: The fourth dimension is expanding relative to the three spatial dimensions at the rate of c! New ballet & landscape instagrams! instagram.com/fineartballet www.instagram.com/elliotmcgucken/ Nikon D810 Epic Fine Art Ballerina Goddess Dancing Ballet! Dr. Elliot McGucken Fine Art Ballet! Marrying epic landscape, nature, and urban photography to ballet! instagram.com/45surf Nikon D810 with the Nikon MB-D12 Multi Battery Power Pack / Grip for D800 and D810 Digital Cameras allows one to shoot at a high to catch the action FPS! Ballerina Dance Goddess Photos! Pretty, Tall Ballet Swimsuit Bikini Model Goddess! Captured with the AF-S NIKKOR 70-200mm f/2.8G ED VR II from Nikon, and the Sigma 50mm f/1.4 DG HSM Art Lens for Nikon! Love them both! www.facebook.com/45surfAchillesOdysseyMythology A pretty goddess straight out of Homer's Iliad & Odyssey! New Instagram! instagram.com/45surf New facebook: www.facebook.com/45surfAchillesOdysseyMythology Join my new fine art ballet facebook page! www.facebook.com/fineartballet/ The 45EPIC landscapes and goddesses are straight out of Homer's Iliad & Odyssey! I'm currently updating a translation with the Greek names for the gods and goddesses--will publish soon! :) "RAGE--Sing, O goddess, the anger of Achilles son of Peleus, that brought countless ills upon the Achaeans. Many a brave soul did it send hurrying down to Hades, and many a hero did it yield a prey to dogs and vultures, for so were the counsels of Zeus fulfilled from the day on which the son of Atreus, king of men, and great Achilles, first fell out with one another. " --Homer's Iliad capturing the rage of the 45EPIC landscapes and seascapes! :) Ludwig van Beethoven: "Music/poetry/art should strike fire from the heart of man, and bring tears from the eyes of woman." Beautiful Ballerina Goddess Dancing Ballet! Dr. Elliot McGucken Fine Art Ballet Photography! 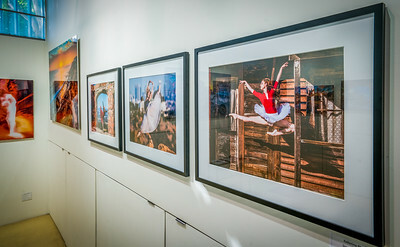 Fine Art Ballet Photography at Urban Light Sculpture! LACMA Collections! Nikon D810 Ballet Photos of Pretty Ballerina Dancing at the LACMA Lights! Elliot McGucken Fine Art Ballet Photography!! Elliot McGucken Fine Art Ballerina Photography! Ballerina dancing ballet! Pretty ballerina girls! A pretty goddess straight out of Homer's Iliad & Odyssey! Preety ballerina dancer portraits! New Instagram! instagram.com/45surf New facebook: www.facebook.com/45surfAchillesOdysseyMythology Dr. Elliot McGucken Fine Art Photography! Beautiful Ballerina Goddess Dancing Ballet! Dr. Elliot McGucken Fine Art Ballet Photography! Pretty ballerina model!